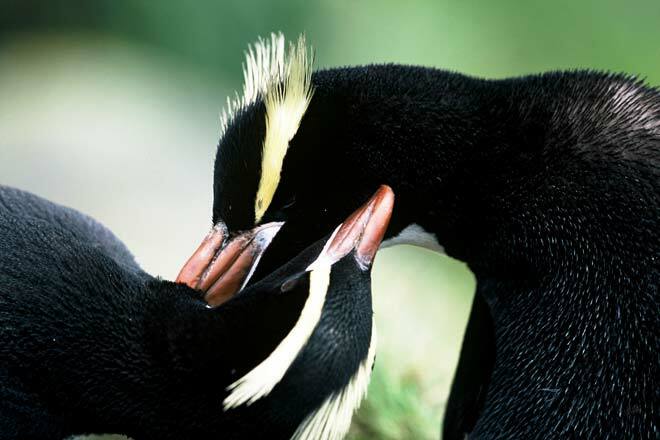 During the breeding season, penguins engage in pair-bonding activity such as mutual preening, especially in those awkward places around the face and under the chin. Like most feathered and haired animals, they harbour their own specially adapted species of ticks and lice. Penguins spend a lot of time preening, to maintain the feathers in good condition. Spreading oil from their preening gland helps keep them waterproof.